The Lancashire Evening Post recently reported that land for a park and ride was being sought in the Penwortham area, and that one site being considered was the allotments on the A59 out of Preston. In the article Coun Tony Martin states "We were looking at one of the allotments down there but it is very difficult to tell people they have to go because we want to build a park and ride." The allotments are not suitable for any kind of development for a number of reasons. Allotments have the full protection of the law with regards to their development. All allotments in Penwortham are statutory sites and this means they cannot be used for any purpose other than as allotments unless it can be proven that they are surplus to requirements. There are waiting lists for all the allotment sites in Penwortham. Allotment law is complicated but the 1925 Allotments Act established Statutory Allotments, which a local authority could not sell or convert to other purposes without ministerial consent. The implications of disposal for other relevant policies, in particular development plan policies, have been taken into account. It is clear from this that it is not sufficient to offer an alternative site to allotment holders and that as long as the allotments have 100% occupancy and a waiting list they cannot be disposed of under current legislation. 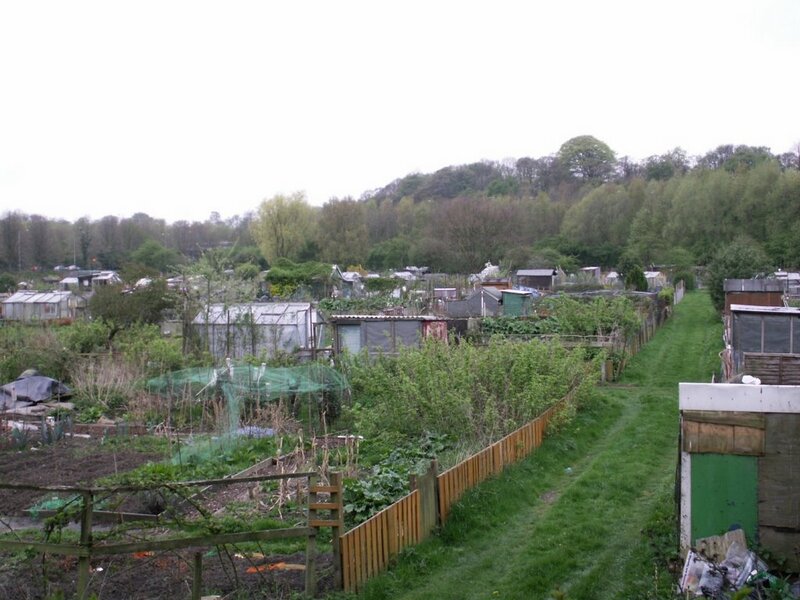 The allotments in Penwortham are also on floodplain land. Environment Agency advice and the recently published Strategic Flood Risk Assessment for Central Lancashire identify the need to ensure ANY new developments are in Flood Zone 1 ideally, or Zone 2, not in Zone 3 which the allotments are. Concreting over floodplain will exacerbate flood risk to nearby communities as floodwater storage capacity will be reduced and surface water run off will be increased. Recent heavy rain across Britain has shown how important floodplain land is to the protection of communities. Relieving traffic congestion in Preston is a good idea, but a park and ride site here will exacerbate traffic problems within Penwortham and could create worse traffic congestion on one of the busiest routes into and out of Preston. A site further towards the Hutton side of Penwortham would surely be a better location. For more details about Tony Martin's reply, click here. 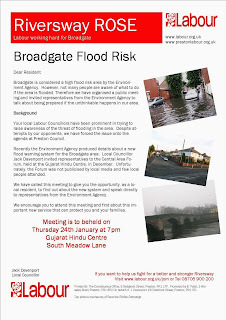 Local residents in Broadgate are invited to a Flood Risk meeting at the Gujarat Centre on South Meadow Lane this Thursday evening 24th January at 7pm. This meeting has been organised by the local councillors for the Broadgate area as they are concerned that a number of local residents are not aware of the new flood warning system which was recently launched by the Environment Agency for the Broadgate area, and missed out on the previous meeting about this issue. It is hoped that officers from the Environment Agency will be present to explain the new warning system and the flood risk issues for the Broadgate area, how local people can best protect their homes, and how you can find out more about the benefits of registering for the warning scheme. 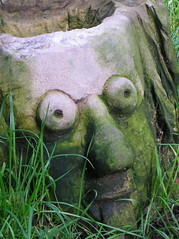 A large number of residents are already very concerned about the levels and speed of the river this week, given the high rainfall and Spring Tides due for this week, the flooding already occurring across the area, including in Walton-le-Dale and by the Tickled Trout, plus further upriver at Ribchester, the river was already over onto Miller Park and the floodplain areas behind Margaret Road in Penwortham on Monday at low tide and a number of properties throughout the Lower Ribble are sandbagging their front doors just in case. Flood Warnings are currently in force for the Upper Ribble and Lower Ribble, and the Rivers Hodder, Darwin, Yarrow and Lostock, and Douglas, (all of which then run into the Ribble), and areas under the Environment Agency warning include Walton-le-Dale and Preston, Ribchester, Settle, Gisburn, Clitheroe, from Whittle-Le-Woods and Chorley to Croston including Leyland, Coppull, Eccleston, Lostock Hall and Bamber Bridge, Salmesbury, Rufford, Mawdesley, Hesketh and Longton, Southport, Banks, and Crossens, from Tuesday 21st onwards, so check the Environment Agency's Flood Warning list if you are concerned your area may be at risk. Strategic Flood Risk Assessment for Preston and South Ribble published at last! The Strategic Flood Risk Assessment (SFRA) for South Ribble and Preston and Chorley – undertaken as part of the Local Development Framework planning for the future development strategy for these areas – has finally been published and made available on Preston City Council’s website. The SFRA Final Report plus the Executive Summary and one Appendix - the Preston maps - have been posted online, although most of the Appendices referred to in the Report are not currently available on the website. As well as identifying the risks of flooding in the area – existing and future - the Final Report also shows that there are proposals for a “Major Development Site” at Riversway, which, as you can see from the big yellow block on the map below, runs across a huge area below Lea and the Larches from the west of the Docks alongside the River Ribble and off the map towards Freckleton. Is this another part of the Riverworks scheme? 5. All projected developments will now have to be assessed against flood risk, and of those projected new developments so far assessed, the new development proposed for RIVERSWAY in Preston (see the yellow block on the map below) ‘is shown to be at a significant risk of flooding from the tidally influenced reach of the River Ribble’ (viii). It is unfortunately not very easy to see from the map what it means on the ground. Some of the colour-codes on the key are difficult to read, plus unfortunately the map reproduced on the PCC website is only the Preston map, consequently the area south of the river is not as clearly represented anyway (we are currently trying to get a copy of the South Ribble map to enable a better look at the whole area – as soon as we get a copy it will be posted online here). …and as you can see from the map, there is also “Zone 3 plus Climate Change” which has factored the future projected increases in flood risks into the area. - Zone 1 is land not considered at risk of flooding from rivers or tidal waters (although there may be local issues such as drains, surface water runoff etc). As far as we can tell from the rather blurry colour-coding on the map and on the key, the pale green swathes of land running alongside the River Ribble from west to east on the map appear to be representing “Flood Zone 3 plus climate change” – that is, the land it is now considered we should NOT develop on due to existing flood risk AND climate change factors. The diagonal purple lines covering large sections of the map appear to be the “Flood Warning Area” - coupled with several “Flood Storage Areas” where they appear to be doubled with the diagonal blue lines - running from the river opposite Riversway on the Penwortham bank, and all across two large stretches of Penwortham (on the west towards Hutton and at the centre running east through Walton le Dale), plus across Avenham & Miller Parks, Frenchwood and right over Fishwick Bottoms. The SFRA notes that ‘In general, the fluvial [river and rain] and tidal [sea and tidal zone] flood risk across the study area is low’, but does point out that ‘there are significant areas in the west of the study area that are potentially at risk of flooding’, and that ‘Locations… that are particularly affected by flooding include Croston, Penwortham, Walton-le-Dale and southwest Preston’ (page vi in Executive Summary). Areas which are considered to be ‘particularly affected by sewer flooding’ are Grimsargh, Walton-le-Dale and Euxton ‘and their surrounding areas’ (vii). Areas which may be particularly subject to groundwater flooding include Preston and parts of Penwortham, Walton-le-Dale and Bamber Bridge (vii). The Report states that ‘locating and providing strategic flood storage in upper catchment areas can potentially provide protection to areas much further downstream’ and notes that at present there is only one ‘formally maintained flood storage area in Central Lancashire, which is located adjacent to Savick Brook in Fulwood, upstream of where Savick Brook passes beneath the A6 (Garstang Road)’ (vii). - 'Firstly, as a result of wetter and warmer winters, an increase in large fluvial flood events is likely to affect the larger rivers and watercourses in the sub-region. - 'Secondly, extreme rainfall events are likely to become more frequent leading to a greater storm intensity and duration. This is likely to lead to a great deal more runoff causing surface water flooding and overwhelming of the urban sewer networks in particular’ (vii). ‘To attempt to counteract this increase in runoff in local areas, the use of Sustainable Drainage Systems (SuDS) is becoming more important’, also ‘providing more “green” spaces within the urban environment can also help to reduce runoff and also increase wildlife habitat… [and can] sometimes be most effective when placed alongside development in water corridors’ (vii). 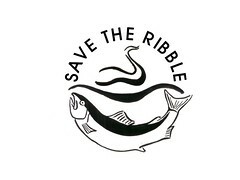 The Final Report notes that the River Ribble drains 1,490 km2 of Lancashire and North Yorkshire along its 100km stretch, and that ‘Development in the natural floodplain over time has increased the risk of flooding at some locations, including Preston’ (Final Report page 5). A little further on, in the discussion on climate prediction modelling, the Final Report states that the figures show ‘There is a potential for increased peak river flow [the working figures are for a 20% increase] … and an increase in peak flow results in a greater floodplain envelope’ (p9). In common language this means that it is expected that as rainfall increases, the river levels and flows will increase, flood risk will increase and therefore we will need to allow for more floodplain provision than we have at present - so it is important that we not only protect what we still have from further development but will need to INCREASE it. In the tidal reaches of our rivers, this may well need to be increased further still as the Final Report also makes it clear that there is an expected increase in sea levels over the coming decades. Increases in rainfall is also an issue in respect of surface water flooding, and overflowing of sewers and drains. Extreme wave height will increase by: +5% and +10% over the same period. 2.5 mm per year to 2025: 7.0 mm/yr to 2055; 10.1 mm/yr to 2085; 13.0 mm/yr to 2115. Please note these measurements are millimetres per year, not metres. Many apologies for my previously posted - and incorrectly calculated figures - on friday 11th, and many thanks to Mike for pointing these out to me. - and by 13.0mm/year over the following 30 years to 2115 so a further 39. centimetres (94.55 centimetres - almost a metre - in total). The Sea Level rise predictions need to be added, of course, to the predicted increases in rainfall over the same period to assess our increasing floodrisk as best we can. Whilst what may happen over the next 20 to 100 years may seem too far off to care too much about, if you think about how long ago your own house was built – many of us live in houses built between 50 and 100 years ago - you will soon realise that our children and grandchildren will, in 2085, be occupying our existing housing and new houses which will be built over the coming decades, so it is vitally important that we start ensuring we build on higher ground NOW and keep our existing floodplains and land which will become floodplain over the coming decades clear of development. 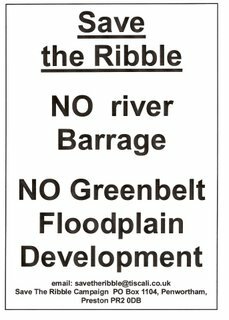 - ‘only where there are no reasonably available sites’ in Zones 1 or 2 ‘should development be located in Flood Zone 3’ (the highest risk areas) (page 16). 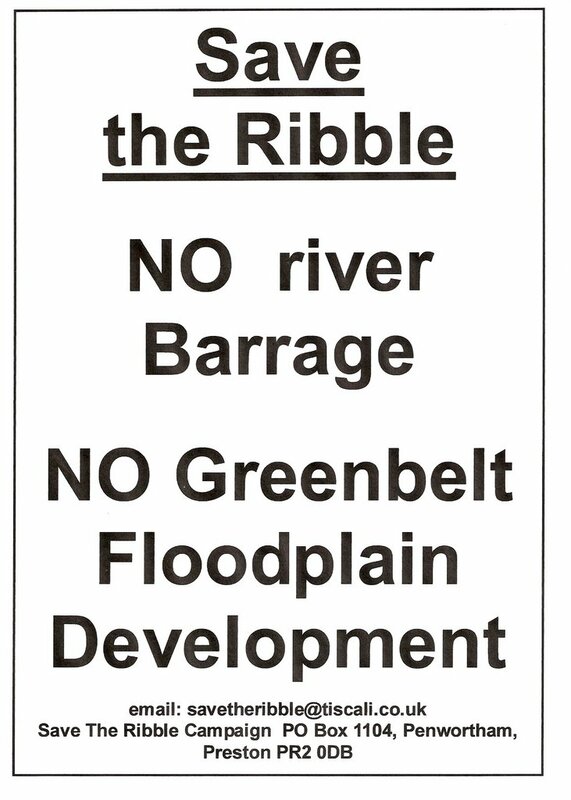 The document DOES state its intention that its ‘aim… is to direct new development towards areas that have a low probability of flooding’ (18), and as well as strongly agreeing with this aim, we would argue that NO development should be allowed to take place in Flood Zone 3 AT ALL! We already have far too many communities at risk of flooding, and the extent and costs of flooding are set to increase year on year within our existing communities and infrastructure. We MUST ensure ALL developments meet the strictest tests for ensuring our long-term economic and environmental sustainability. whilst 2.66% (12.22 km2) is in Flood Zone 2. This adds up to 14.48% (66.47 km2) of the total area as either operational floodplain or at some or high risk of flooding, presumably leaving approximately 85% (392 km2) of the total area in Zone 1, i.e. at lowest probability of flooding. But it does indicate that there are a lot of areas to choose from when considering any necessary new building developments – as the Report itself recognises (see page 18) so avoiding areas at risk of flooding and avoiding areas of functional floodplain when planning new developments over the coming decades should be fairly straight-forward…. Of the total area of land covered by the three Local Authorities, approximately 16.41% (75.34 km2) is already developed, and of these developed areas we already have 6.57% (1.78 km2) on Functional Floodplain (Flood Zone 3b), 2.80% (0.63 km2) at High Flood Risk (Zone 3a), and 3.14% (2.37 km2) in Flood Zone 2 so a total of 12.51% (4.78 km2) of the already developed areas are currently at medium to high risk of flooding or are on operational floodplain areas. That this figure is fairly close to the 14.48% of land in the whole area at some risk of flooding or is operational floodplain indicates that, up to now, flooding has not been taken as seriously as it needs to be when deciding where to develop. From now on, as the SFRA Final Report makes clear, all new development proposals will have to take what is called a “Sequential Test” which is ‘designed to ensure that sites at little or no risk of flooding are developed in preference to areas at higher risk’ (20). This seems to indicate that the proposed major development at Riversay CANNOT go ahead as the Report itself identifies this development proposal as 'at a significant risk of flooding'!! - but WHAT EXACTLY IS BEING PROPOSED FOR THE AREA? Is it related to Riverworks? - Surely much if not all of this land is currently green - which adds to rain water storage capacity and allows flooding without damaging communities - important land to protect (and in highest risk Zone 3) as the Report itself recognises? The Sequential Test has to take into consideration ALL flood risk issues, including Surface Water, Drainage, Sewers, and Groundwater, as well as Fluvial (river and rainfall flows) and Tidal systems, and the entire forward planning (Local Development Framework) in the area must also consider the Environment Agency’s and other agencies policies on sustainable water-use, biodiversity, and flood risk management in the Catchment Management Plans for the River Ribble, River Douglas, and River Wyre. Changes in land use or land management of any kind can impact on the River into which that land drains, and impact on biodiversity as well as flooding risks. (See pages 22-26).